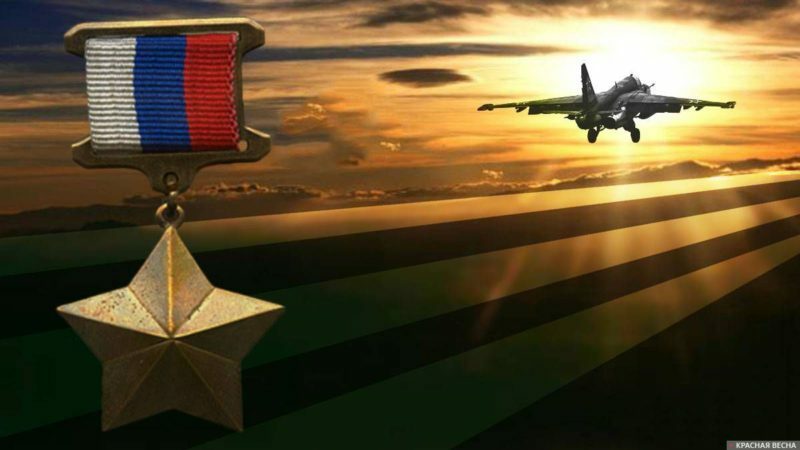 The Russian Defense Minister Sergey Shoigu recommended pilot Roman Filipov, who was killed in unequal combat against terrorists in Syria, to be posthumously awarded the title Hero of Russia, TASS reported on February 5. Major Filipov fought to his last breath against the terrorists who were trying to encircle him, and then he blew himself up along with the militants with a grenade. Before that, he kept his aircraft in the air as long as he could, and he managed to inform his commanders of the attack. Filipov’s strike aircraft was shot down with a shoulder-fired missile launcher on February 3, during a ceasefire monitoring mission in the Idlib de-escalation zone. The same day, the Russian Aerospace Forces launched a retaliation strike with cruise missiles in the area where the strike aircraft was attacked. 30 militants of the Jabhat al-Nusra group (organization banned in Russia) were killed. This entry was posted in News from Russia and tagged Classical War, Russia, Syria. Bookmark the permalink.